November 5. Heather Kurosz, in-house chef for W. Rogowski Farm, will prepare a six-course dinner of seasonal cuisine. Start with baked brie and a signature herbal beverage for cocktail hour. A soup course of celery and pear soup with blue cheese-rosemary biscotti follows, as do a choice of entrees (duck confit or herb-crusted halibut) and a dessert course of lavender-honey panna cotta. Tickets are $65. W. Rogowski Farm, Pine Island. (845) 544-5379; www.rogowskifarm.com. November 7. Fleisher’s Meats owner Joshua Applestone leads a full-day course where participants will observe a pig being slaughtered in the morning, and then butcher it in the afternoon. Attendees will learn butchery and curing skills and make sausages to take home. Lunch and dinner included. $300. (845) 338-MOOO; www.fleishers.com. November 10. Join Chef Jessica Winchell for an evening of gourmet meals paired with selected beers. Start with bluepoint oysters on the half shell combined with pickled ginger mignonette and wasabi tobbiko served with Duvel Belgian Golden Ale. Pretzel-crusted seared scallops and house-made Hennepin mustard will be served with a Hennepin Farmhouse Saison Ale. For dessert there will be malted chocolate waffles with fig-port ice cream and toffee sauce served with 3 Philosophers Quadruple Ale. 6-9pm at Global Palate Restaurant in West Park. $50, reservations required. (845) 384-6590; www.globalpalaterestaurant.com. November 20-December 12, select dates. Sample a wide range of well-crafted red and white wines at the Shawangunk Wine Trail’s Holiday Event. 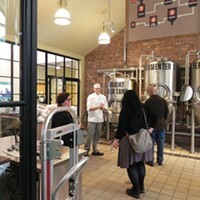 Travel along the trail in a self guided tour and visit the 11 wineries—Adair Vineyards, Applewood Winery, Baldwin Vineyards, Benmarl Vineyards, Brimstone Hill Vineyards, Brotherhood Winery, Glorie Farm Winery, Palaia Vineyard, Stoutridge Vineyard, Warwick Valley Winery and Distillery, and Whitecliff Vineyards. Receive a souvenir wine-tasting glass, a handmade grapevine wreath, and an ornament. 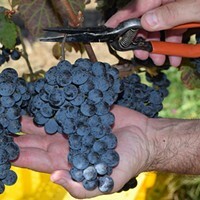 There are sparkling wines, vinifera, French/American blends, and fruit wines. 10am-6pm. (845) 256-8456; www.shawangunkwinetrail.com. November 16. Enjoy four courses paired with wines from four different chefs in the first round of the Iron Grad 2 Culinary Competition. The first series of competitions over the summer pitted 12 chefs against each other in a no-holds-barred culinary smackdown. This month’s event will have special twists and surprise celebrity judges, including Chronogram editor Brian K. Mahoney. $42.95. Reservations are required. 6:30pm cocktail reception, 7pm dinner at the Rhinecliff Hotel. (845) 876-0590; www.therhinecliff.com. November 21. Spend the day at the 13th Annual International Pickle Festival sponsored by the Rosendale Chamber of Commerce. There will be contests in pickle eating, pickle juice drinking, and a pickle toss. There’ll be performances by the Japanese Dance Group, Senegalese and West African drummers, and German accordionist Emil Hiler, accompanied by Schupplattler Dancers. 10am-5pm at the Rosendale Community Center. (845) 658-9649; www.picklefest.com.